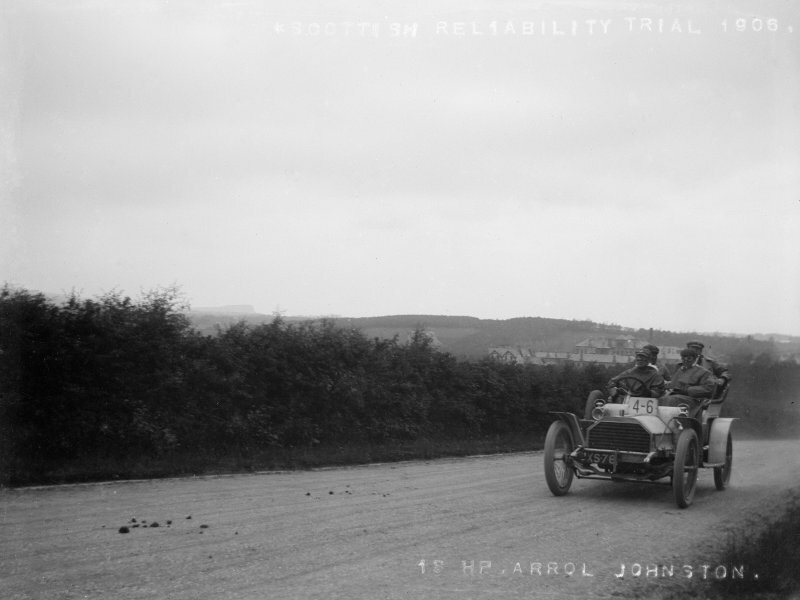 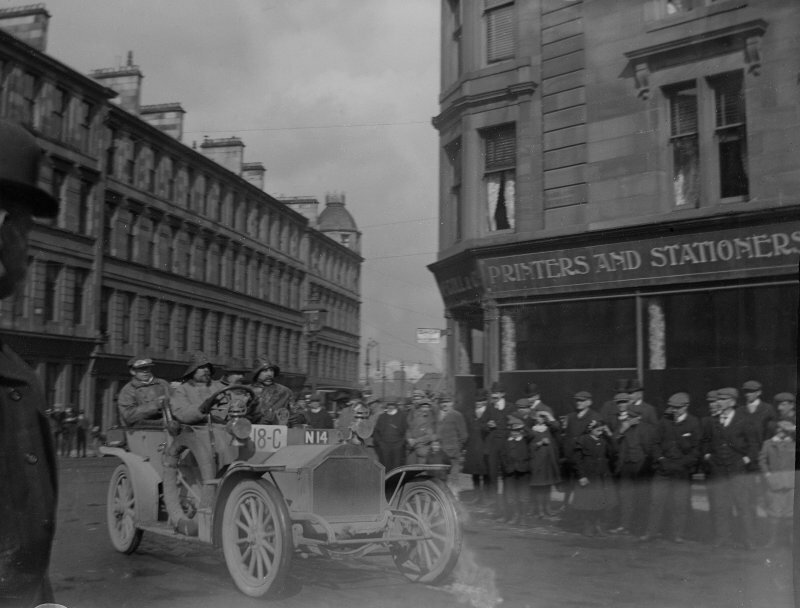 Scottish Reliability Run, 18 hp Arrol Johnston motor car, from Mr Monrgomerie's family album. 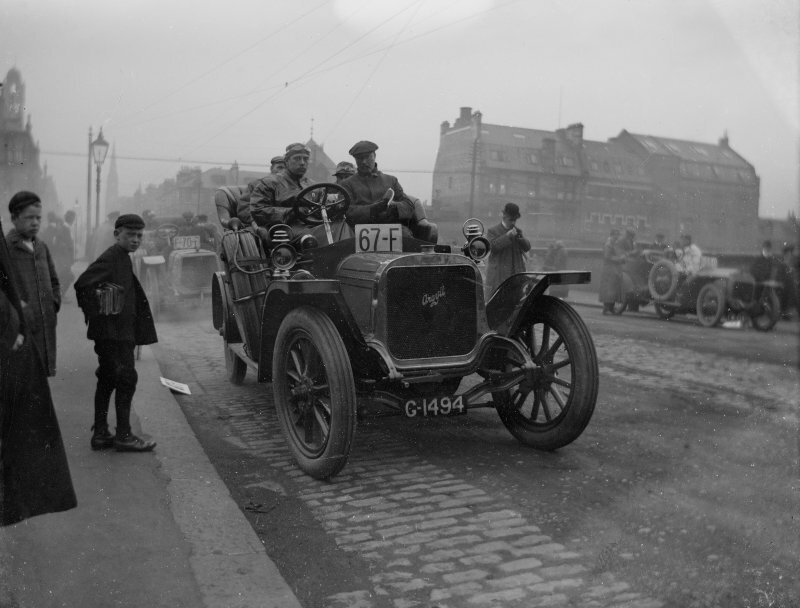 Mr Kenneth Montgomerie's grandfather (John Cunninghame Montgomery) was a car enthusiast. 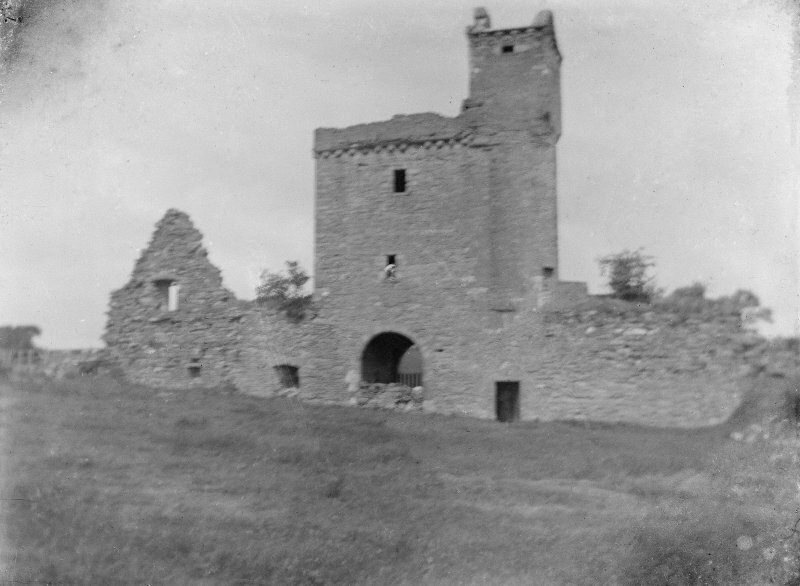 Unidentified Ayrshire Castle from Mr Monrgomerie's family album. 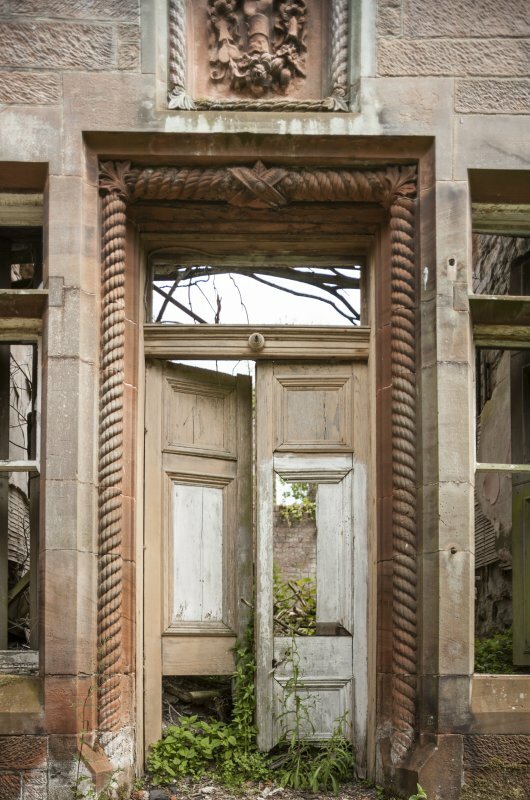 Detail of entrance door and crest above. 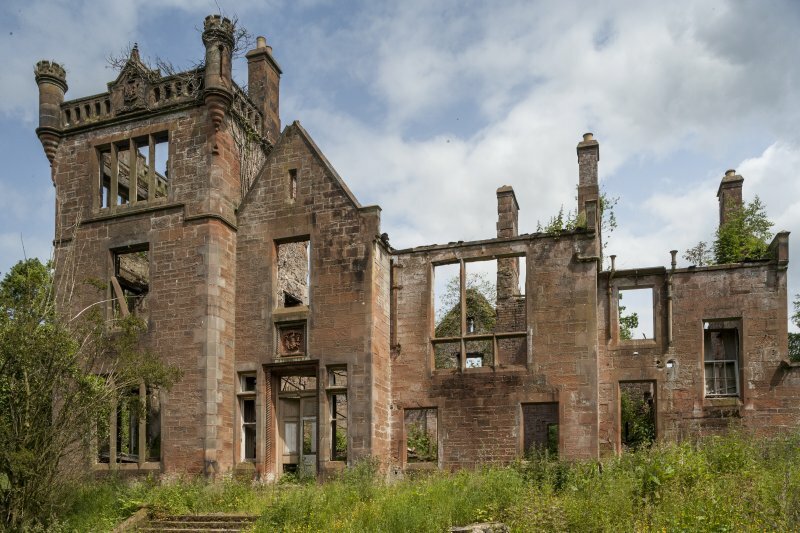 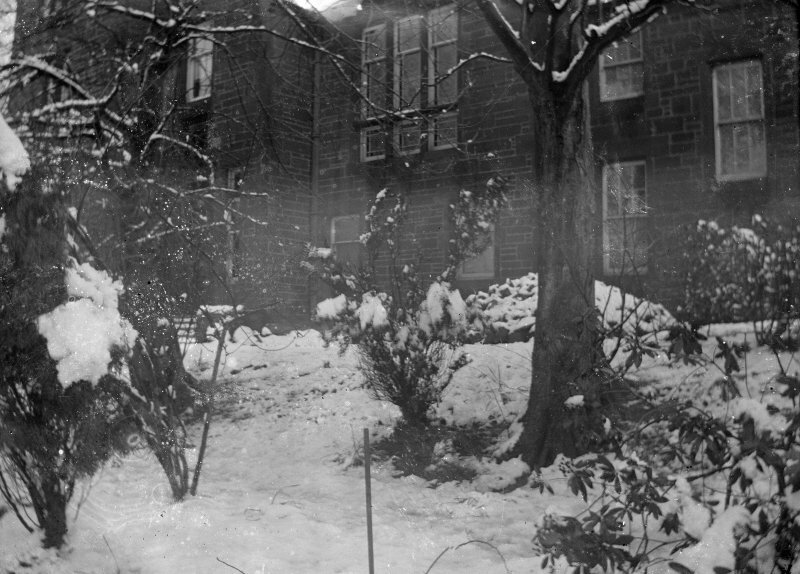 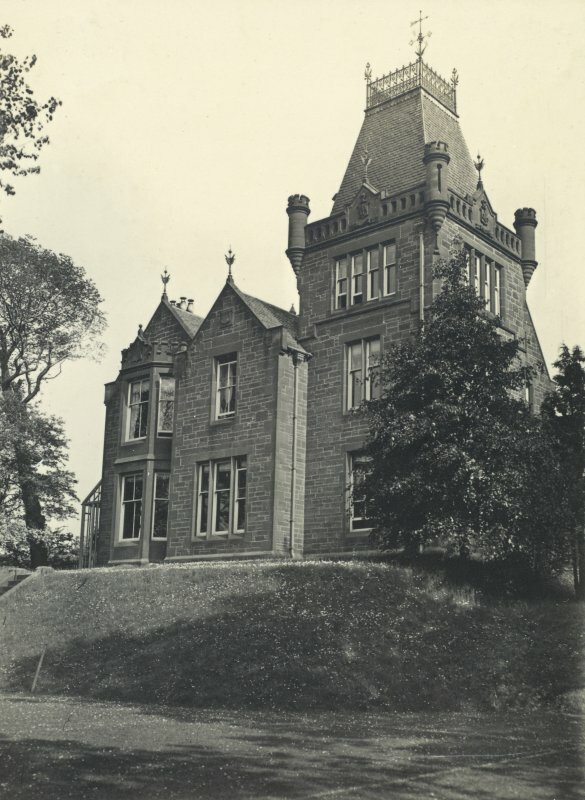 General view of fire-destroyed (in 1970s) Dalmore House, completed 1880. 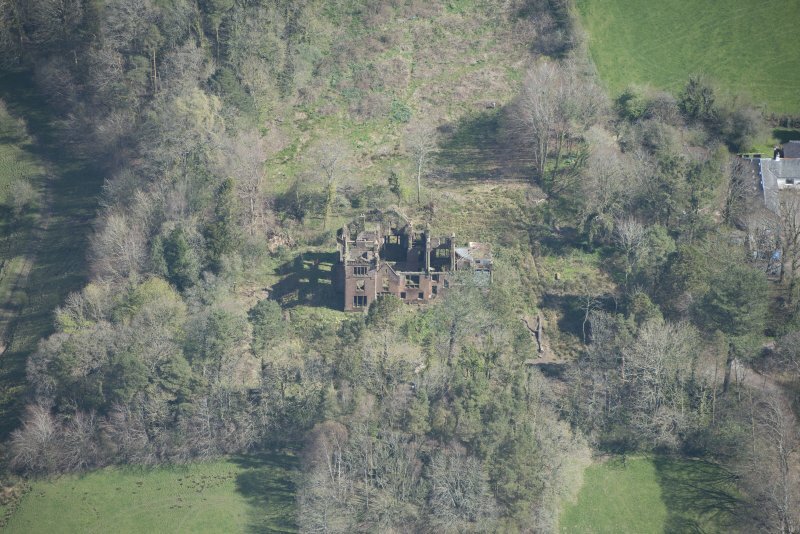 Oblique aerial view of Dalmore House, looking NW. 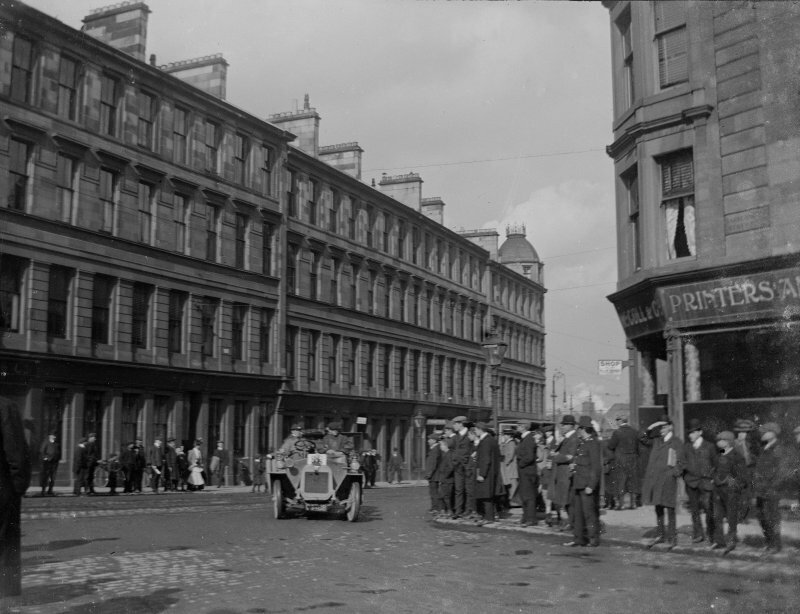 Oblique aerial view of Dalmore House, looking E.
Car Rally, ?Glasgow: from Mr Monrgomerie's family album. 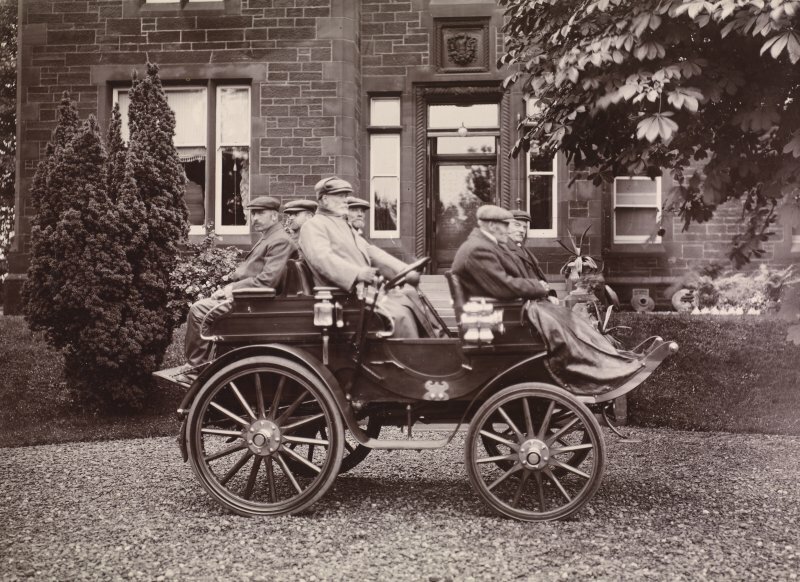 Mr Kenneth Montgomerie's grandfather (John Cunninghame Montgomery) was a car enthusiast. 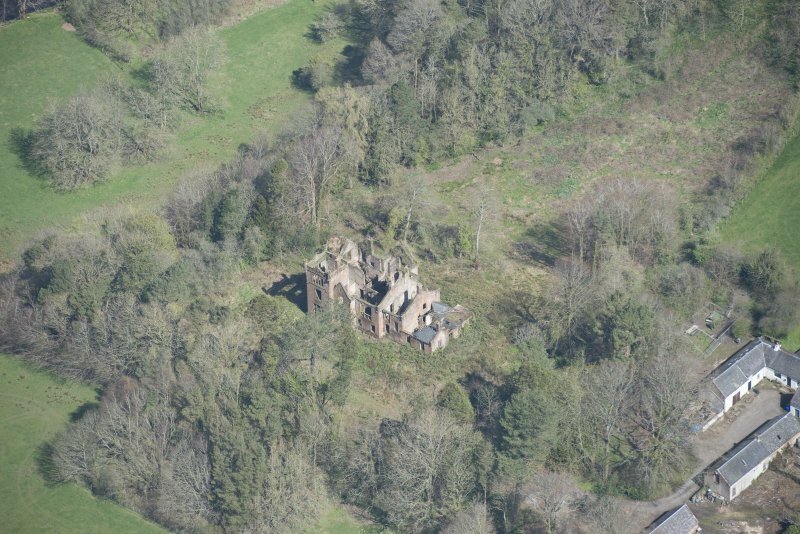 Dalmore House. 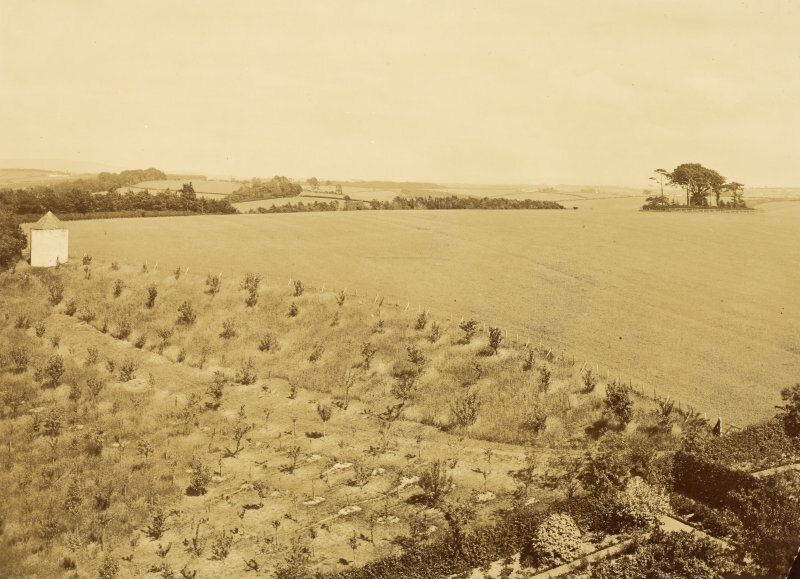 Orchard from south west taken from Dalmore House. 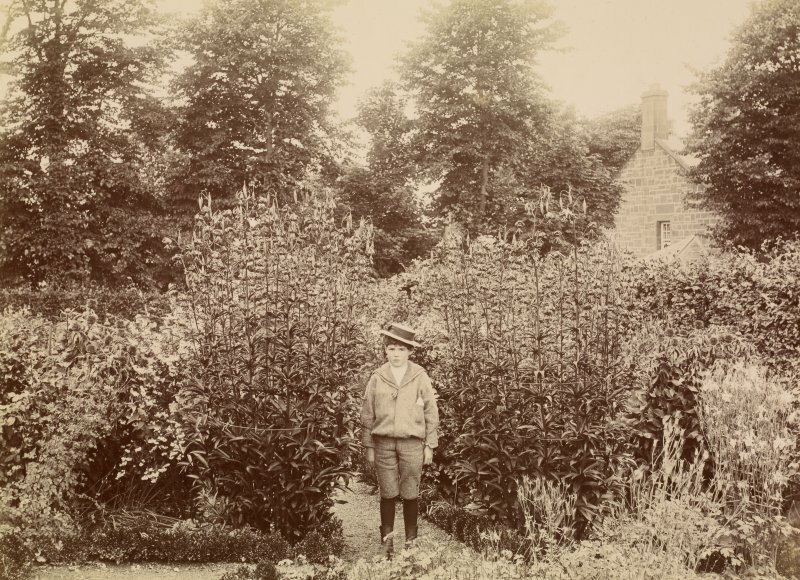 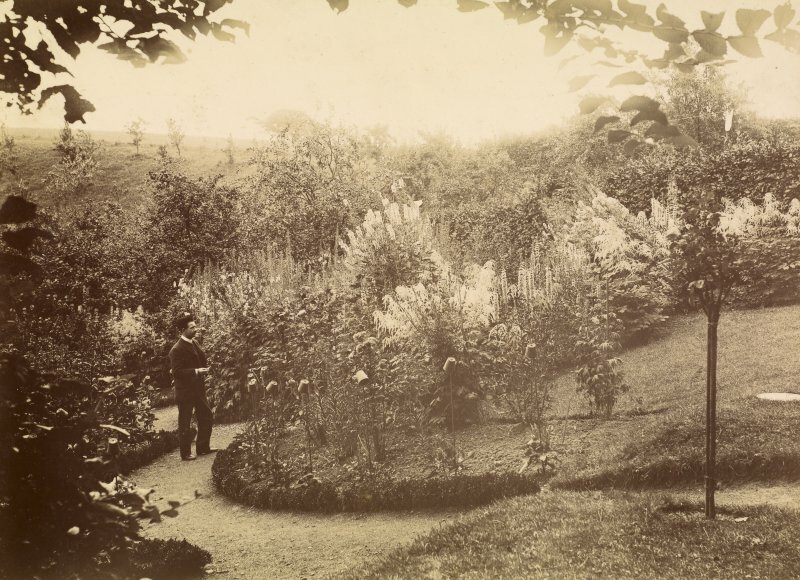 This orchard was planted between 1880 and 1895. 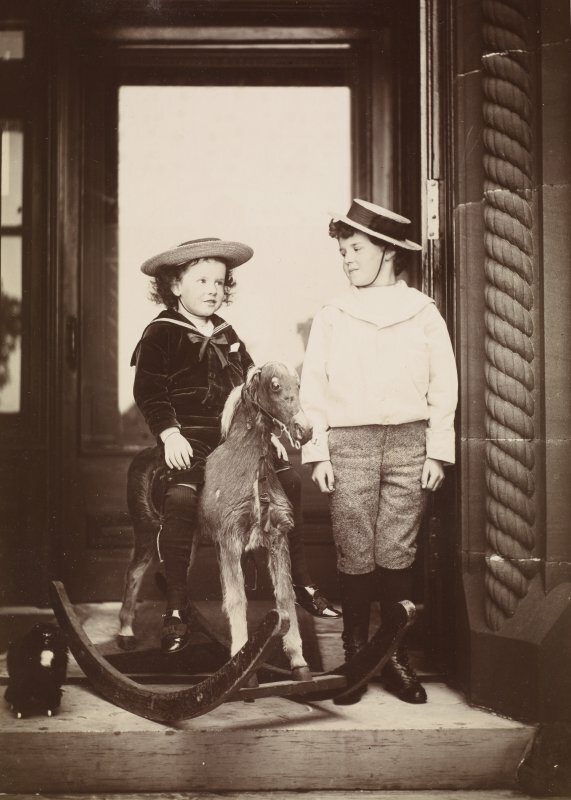 From family album of Mr K Montgomerie. 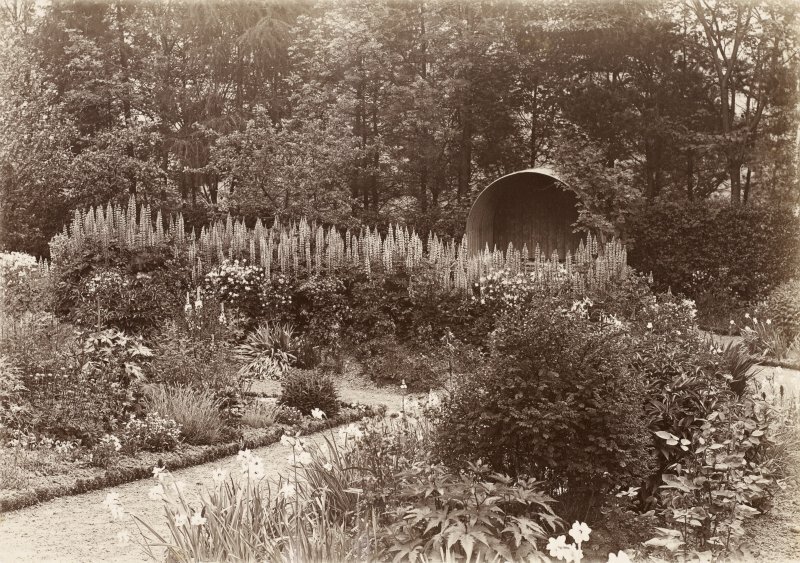 Survey of Private Collection. 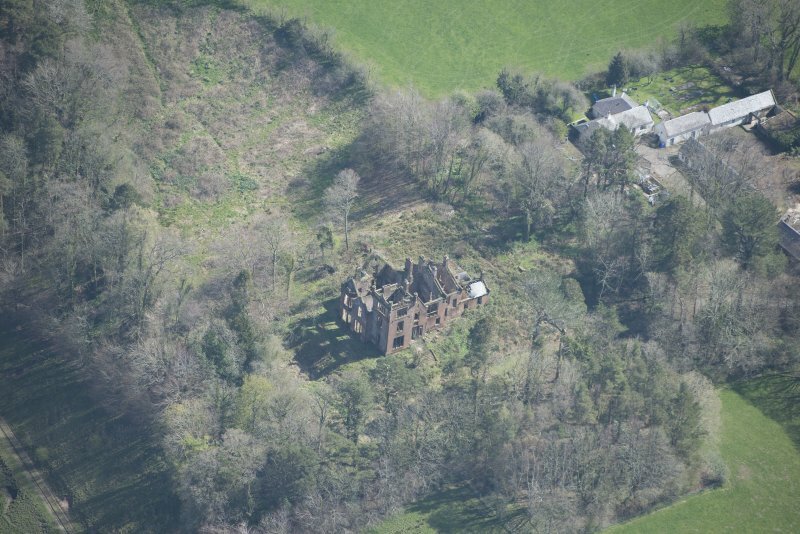 Oblique aerial view of Dalmore House, looking NNE. 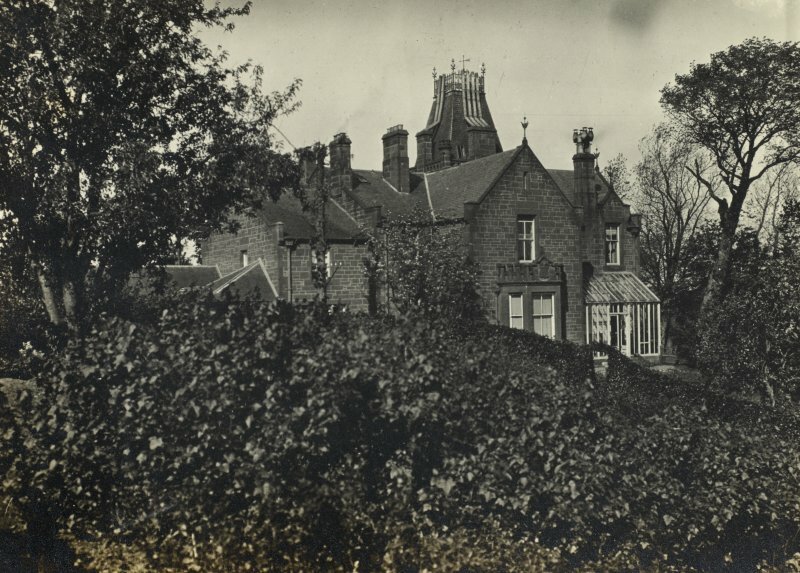 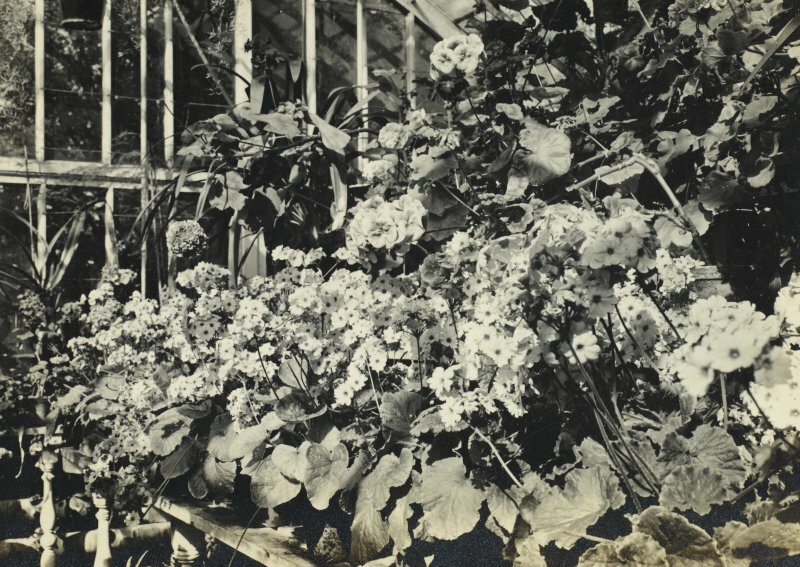 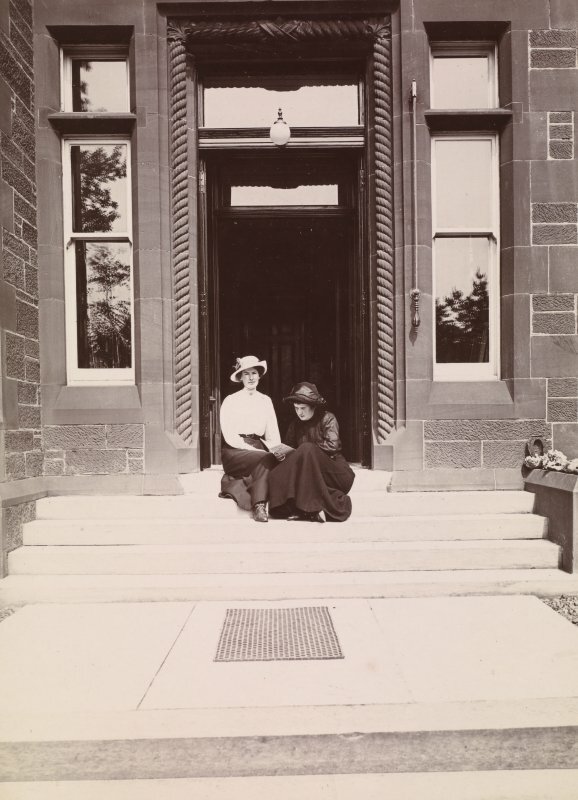 Dalmore House, from Mr Monrgomerie's family album.